The world, the Jewish world, and the music world has lost a special soul. Bonia Shur was a unique shining star whose fire burned brightly. He dedicated himself to the Jewish liturgical arts. Bonia could have easily used his talents to create commercial success. Instead, his Judaism and love of prayer spurred him to compose for the sake of Heaven. I was privileged to have known the man behind the works. Just after my Investiture from HUC-JIR, I took a position at Temple Israel in Omaha, Nebraska. My rabbi, Aryeh Azriel, was a very enthusiastic and creative partner. He insisted that I go in the middle of Sukkot (in my first year as a cantor, mind you!) and spend several days studying with his good friend, Bonia Shur. I had met and worked with Bonia briefly my first year in Jerusalem (he was a visiting composer-in-residence), and I was taken by his composition and energy. Aryeh’s offer to me was like asking if I wanted a brand new car and here are the keys! So Aryeh called Bonia, made the arrangements, and I was on my way to Cincinnati, with really no idea what to expect. Bonia was truly a gracious host. He gave me a wonderful tour of the Cincinnati campus (I remember distinctly him pointing out a block of sidewalk in which someone had indicated, in Hebrew, not to urinate on the grounds! ), and made arrangements for me to stay in the dorms there. Since it was during Sukkot, he and Fanchon hosted an annual meeting of the second year students at their house. Bonia and I went together to the supermarket and picked out food for the evening. He mused over the quality of the grapes, and actually fed me one! At their home, we prepared for the festivities. It was an evening of music, story sharing, and sitting on large, inflatable exercise balls! Back at the college, Bonia was preparing for the annual performance of his Hallel Psalms (one of his greatest works, in my opinion) and he invited me to join the choir of rabbinic students and ringers. I was more than happy to oblige. In our downtime from rehearsing, he exposed me to the depth and breadth of his work, sharing with me his opinions on composing for the synagogue. I drank in his wisdom and was taken by his deep commitment to artistic integrity. Although the visit was short, it left a lasting impression on me. Following that trip, Bonia and I were bonded in a relationship of sharing music and more. While in Cincinnati, he and I talked about the need for a new setting of the Mi Shebeirakh, and he composed a work in Hebrew and English which embodies the hope that one needs when praying for the sick. When Yitzhak Rabin was assassinated, I composed a setting of Shalom Rav, which was incomplete until Bonia arranged it for me. I sent him my new compositions, and he sent me his. I appreciated his feedback on my work, and I loved being one of the first to look at a new Shur manuscript. More than a composer and philosopher, Bonia was a thoughtful and caring human being. If you connected with him, it was with love. Bonia always asked about my family and my well being out of true concern. When I was going through my divorce, Bonia would check up on me to see how I was faring. And he was always encouraging. He egged me on to compose more. When I sent him one of my CD’s, he said, “Zere’s too much! Always keep people wanting more! Don’t give it all away!” He was always wise. I learned that when he passed, he was holding the copy of his Hallel Psalms in his hand, newly published by Transcontinental Music. 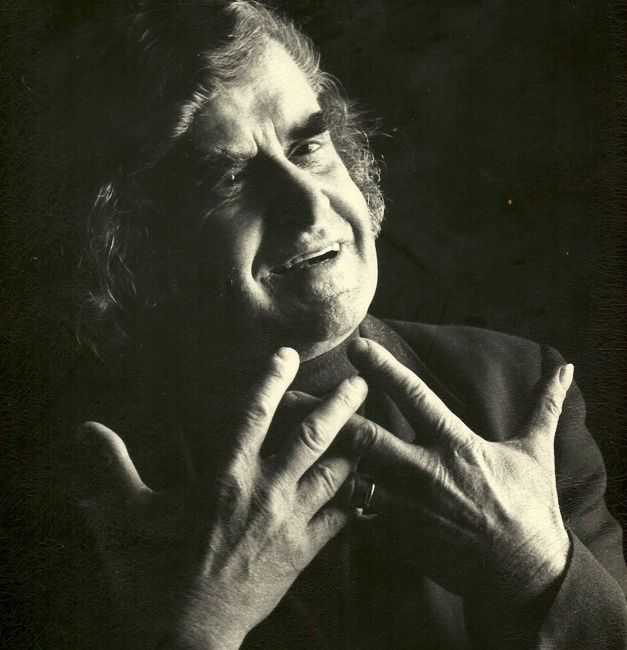 Bonia was so prolific and I am saddened that his compositional voice has been extinguished. But I have been influenced so much by this mountain of a man. I can only hope that my composition work, greatly shaped by his guidance, will sound echoes of Bonia’s life, such that his voice will continue to sound strong. May Bonia live on in his music and all who loved him.